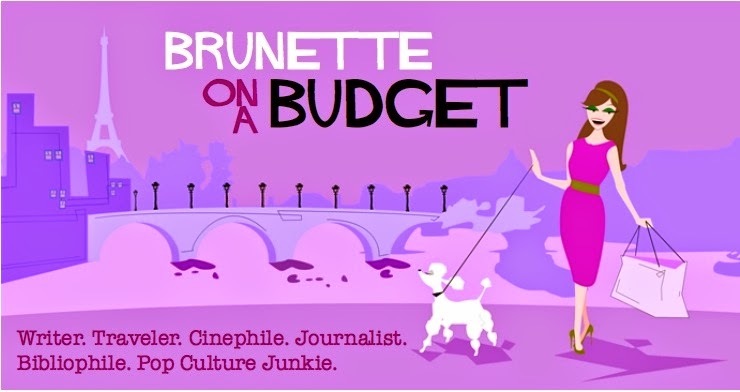 Brunette on a Budget: Why does food cost more these days? The increase in food prices has been a reoccurring subject I've noticed in many personal finance blogs over the last few months. Some gripe of the exorbitance of the matter and some offer solutions (which I even did recently), but do you know exactly why the cost of food has seen such an uptick? The answer to that question may conjure up uncomfortable memories of you spacing out at your desk during the dreaded economics classes we were forced to take in the heyday of our youths. As the teacher droned on about something called "supply and demand," many of us had already checked out, hitting our mental "snooze" buttons as we daydreamed of the Jordan Catalano look-alike three seats ahead of us. I admit, economics is taught all wrong to us in our formative years because it's the farthest thing from boring. In fact, it's downright fascinating -- and this is coming from an English major, people, so that's got to mean something. Consider this a non-boring, hopefully amusing brush-up in Econ 101: Why is the cost of food rising so fast? The overarching answer lies in biofuels. Fuel, you ask? What does that have to do with food? Well, a certain type of biofuel -- called ethanol -- is a clean-burning fuel made from crops, such as corn. (Corn is a fundamental ingredient in much of the food we eat, but I'll get to that in a minute). Everything so far sounds peachy and green, right? Well, according to the American Coalition for Ethanol, pure ethanol cannot be used as a motor fuel by itself; instead, a percentage of it has to be combined with unleaded gasoline to fuel, say, a car. But greenies everywhere do tout the cleaner-burning gasoline as beneficial to keeping our environment pollution-free, although many studies also argue that it's an "energy neutral" fuel, since it takes much pollution in ethanol factories to make the fuel, but that's another subject unto itself. The fundamental problem with ethanol is when it comes to the world's food supply. Because it takes crops like corn to make the fuel, that's less food on people's plates to eat and more food being grown to power cars. This makes food more scarce, which makes it more valuable when it's in a grocery store, hence the cost of it rises because it's worth more. Just how much have food costs risen because of biofuels? According to a confidential World Bank report that was leaked by the Guardian this summer, biofuel was responsible for a 75% rise in food prices, and "has distorted food markets in three main ways:"
"By diverting grain away from food for fuel, over a third of U.S. corn is now used to produce ethanol and about half of vegetable oils in [Europe] go toward the production of biodiesel." "Farmers have been encouraged to set land aside for biofuel production." Land that would otherwise be used to grow crops to eat. "It has sparked financial speculation in grains, driving prices higher." As more grains are being used to produce biofuels, they become more scarce because they are in such high demand. The more in demand a commodity is, the more people will pay for it. The Guardian said the report was suppresed so the Bush administration would avoid embarassment since it had dismissed the impact of biofuels on the rising cost of food. A separate biofuel report conducted by the British government sided with the World Bank's findings and proposed the Brits "put the brakes on its biofuel policy." There are also other factors that add to the high-priced plight, such as nasty droughts and floods, an increased global population that demands more food, and higher fuel costs, which make cross-country truck deliveries from the farm lands of California or the Mid-West to your Safeway grocery shelf that much more expensive. According to the USDA Economic Research Service's (ERS) consumer food price index, food prices normally rise 2.5% per year. For year-end 2008, the ERS forecasts prices to rise 5% to 6%, which is obviously a huge jump. All of these factors -- biofuel production at the helm -- have swirled together and gained speed, like a tornado of disastrous proportions, creating a perfect storm of rising food costs. For an econ lesson minus the Jordan Catalano-esque eye candy, that wasn't so bad, was it? For more on the confidential World Bank report, read the Guardian's story. Thanks for such an informative post. Ethanol production is a hot topic where I live (Midwest) because of all the farms. Great post... only just found your blog! If Biofuel production is the primary cause for the rise in world food costs - why is it that the price of rice has risen so sharply, a foodstock that is not used for biofuels production? This is just one example of why the food-vs-fuel debate is flawed. Anonymous: Rice by itself is a different matter in that the world's largest exporting countries of it (such as India, Vietnam and the Philippines) have put severe caps on overseas sales of the commodity to combat food inflation in their individual regions. This is obviously more of a geo-economic matter. As I said, biofuel production isn't the only reason food prices are going up, but it is definitely near the top. Another good post Crystal! Informative. I think a larger problem is that corn is a huge ingredient within our foods. Food companies got used to putting corn by products into foods that should never really needed them because it made their profits increase by making the cost of food decrease for them. The manufactors of many products include cola could simply change their recipes. Also, most ethanol production produces a by product that can be used for animal feed. However, once again cows were never intended to eat corn(their stomachs are meant to break down grasses). Take corn out of the feed and you'll not only have healthier animals but a healthier by product. Food prices have increased for many reasons and much of it goes into how companies chose to produce their products.